Pea aphids, despite being so tiny, can be hugely destructive pests since they act as vectors for plant pathogens. These sap-sucking insects belong to the superfamily Aphidoidea, which consists of over 5,000 species. The host plants of pea aphids include some major crops such as several legume species and forage crops, making them of keen interest in plant health research. The pea aphids use asexual reproduction which means they can multiply rapidly. But they still maintain some genetic variation through the use of sexual reproduction, meaning they can overwinter as eggs, which makes them very hard-to-get-rid-of pests. And this isn’t their only secret weapon. A recent study conducted in Cornell University and published in Current Biology shows they’ve been using another trick to evade deadly threats. 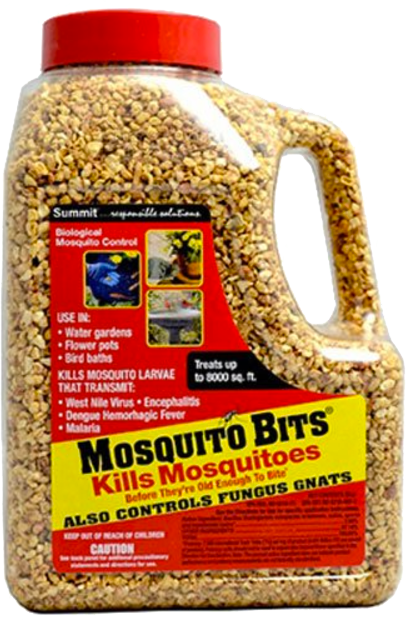 Luckily it can also be used against them in pest control. 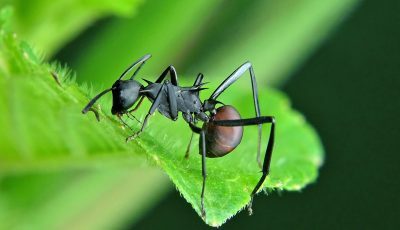 A preventative approach to pest control that takes advantage of an existing relationship has many advantages over dealing with a full-blown invasion. Preventing large scale aphid pest invasions has obvious implications in reducing damage to plants and stopping the spread of viruses that aphids act as a vector for. So what is the key that was uncovered by lead researchers Tory Hendry, an assistant professor of microbiology at Cornell University, and Russell Ligon, a postdoctoral researcher at the Cornell Lab of Ornithology? Interestingly, pea aphids lack important immune response genes which give them no defense against certain diseases. Large numbers of pea aphids can be wiped out when they encounter these diseases. Laboratory experiments showed that when exposed to a common aphid-killing bacteria (Pseudomonas syringae) all those who were infected, died. But they counteract this deficiency by reproducing in large numbers. So if certain bacteria is so deadly to pea aphids, is mass reproduction alone really enough to overcome it and keep their species alive? No, because researchers noticed something special about the common aphid-killing bacteria (and all other members of the Pseudomonas genus) and suspected that had something to do with it. Despite their poor immune response, pea aphids manage to avoid deadly strains of the bacteria due to the fluorescence of the bacteria. As it turns out, it contains an iron-binding compound called pyoverdine, which is fluorescent in ultraviolet wavelengths found in sunlight. And since pea aphids can recognize the specific blue-green glow of the deadly bacteria by sight, they can use that to avoid this bacteria. So how can this knowledge be used to our advantage? How does this factor in with pest control? Well, with its fluorescent “warning”, Pseudomonas syringae is essentially a pea aphid repellent. 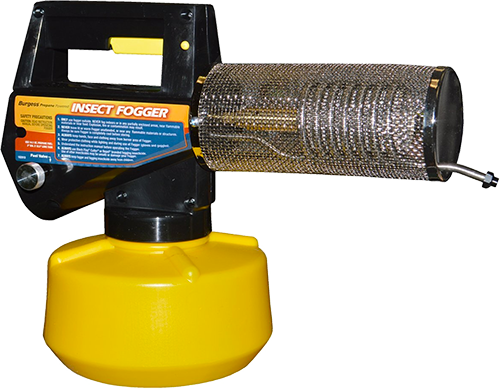 Therefore it offers an organic pest control solution to farmers or gardeners who need to prevent or control pea aphid infestations. The deterrent could be applied by spreading the bacteria or the fluorescent compound on the leaves of plants to safeguard them from pea aphids. The researchers behind the paper tested different strains of bacteria by doing just this. They applied a solution containing one strain of the bacteria onto one of the pair leaflets of a broad bean leaf and left the other untouched. Then pea aphids were placed at the base of these broad bean plants where they faced a choice of which leaflet to munch on. Results showed that the aphids preferred to feed on the blank leaves and avoided those contaminated with the bacteria. 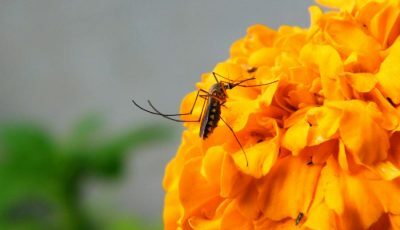 To be sure the researchers repeated this with different strains of the bacteria and found that there also appeared to be a correlation between how harmful the particular strain is to pea aphids and how strongly the bugs avoided it. This suggests that pyoverdine extracted from the most harmful strains, or the most harmful bacteria themselves would be more effective as a pea aphid pest control method. You may be wondering how the scientists figured out that it is the fluorescence of the bacteria that the aphids are reacting to, right? Well, one of the hear researchers Hendry made the link thanks to previous studies showing aphid color preference, and studies that had found the fluorescent properties of bacteria genus Pseudomonas. And then conducted several experiments to test the idea. Firstly, they tried the same test with the broad bean leaves but in conditions where UV light was blocked. And they found that in the absence of UV lights, aphids were not selective over which leaves they ate, which means that many of them ingested the deadly bacteria and died. Another experiment used a mutant form of the deadly bacteria which did not produce the fluorescent pyoverdine. Again, the pea aphids were not selective in their food choice and consumed all leaves, despite the presence of the deadly bacteria. All the tests suggest that the fluorescence is what the pea aphids are responding to. Further studies were conducted to see what colors the aphids can see. Leaves were again covered in a solution containing bacteria and then the researchers measured the light that was reflected off of these leaves. They found that the more harmful strains of bacteria emitted more blue hues than the less adverse strains. And since aphids are not well known for their eyesight and have quite a small visual range, which matches up with the fluorescence emitted by the bacteria perfectly, this only further proves how unique this very specific defense mechanism of pea aphids is. Future research will focus on determining whether this fluorescent compound alone can deter pea aphids. The implications of a positive response to the use of the fluorescent compound as an aphid deterrent are that it could replace the need to use pesticides to combat aphids and the risk of exposing other organisms to the pesticides that come with that. Which means that this fluorescent compound might be the next big breakthrough in biological pest control. 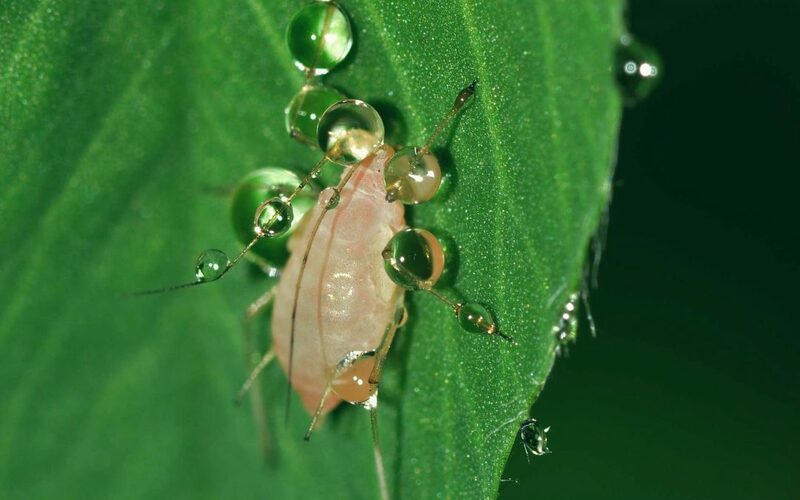 And the researchers also intend to explore how this trait evolved in the first place by comparing pea aphids with other species and how they react to the same bacteria and the compound. 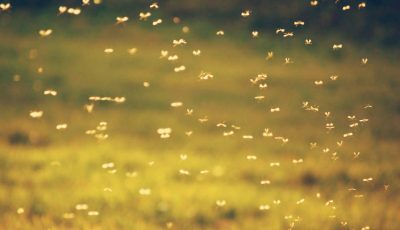 This research could lead to a finding similar mechanisms in other species which would help solidify biological pest control as an effective way to get rid of many different pests.